The service is tailored for both existing customers and new prospects. 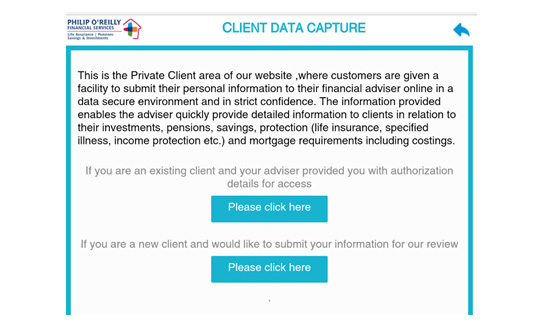 Both financial and mortgage data captures are available. Existing customers can log in using a unique PIN & update any changes in their circumstances. These changes directly Money Advice +CRM automatically.